1532 W.R. Wilson, a Lazare 91 year-old pioneer, came to W. Texas in 1904 as a lanky lad of 25 from TN. and liked the friendly people and W. Texas classless society so well that he elected to stay. Arriving in Honey Grove by train he lived there for several months before trekking west to Lazare area. Arriving in March and getting off the train at Quanah two of the people he first met and got acquainted with were the late Editor and Publisher, Harry Koch, and a young man, Charlie Stephenson, who was learning to set type in the newspaper office. Wilson knew the family of Stephenson back in TN so for him it was just an extension of the family friendship. While he had many friends in Tennessee Valley just across the Cottle County line from Hardeman, he gravitated in 1910 about five miles east to Lazare and started farming land he still owns. He had not lived here many years until he married Thursa Wilson. They were married at Tennessee Valley and to the union were born 3 sons and 2 daughters. Amos lives at Lazare, Vert lives at Sayre, Okla. and Bruner who died at the age of 13 with ptomaine poisoning after eating refreshments at Childress. His daughters Eunice of Avondale, Ariz. is a retired school teacher and Mrs Joy Humphrey married Herman at Athens, Tennessee while on a visit to the old Wilson home. The Humphreys own and operate a farm about 4 mile from W.R . in Texas. Tennessee Valley, Texas was called Tanks. People met at the stores, churches and post office to exchange community news and to visit. William moved to Lazare in 1910 when it was promising to become a to town, but now it is about wiped off the map. He drives his car everywhere and milks a cow daily. Asked his opinion of the world today William said "I think things are pretty twisted up. Frankly, I am puzzled. I think the good Lord will have to send Christ back down here to straighten us out." He has gone from the Model T Ford car to walking on the moon. William said he had no ambition to go to the moon. He observed his 91st. birthday June 25,1970. He attributes his long life to storing up good health while a young man . "I never smoked. Drank a little when single and young but gave that up and I have drunk more than my share of milk. In fact I could live on Milk, I like it so much. That is why I keep a cow and milk her daily to have fresh milk." 1539 William Frazier Furr, the first born son of Esta Furr and Lottie Winnafred Hansell, was born at 12:10 a.m. on July 10, 1921 in Acker-Boyd Hospital, Aberdeen, Mississippi. He weighed in at a respectable 8 pounds. His mother recorded, "Many, many congratulations especially from those we love best. Some from Tennessee, Florida . . . and California. Robert, little Corrinne, Virginia Hale, Mary Virginia were my little, little visitors. Everyone said I was going to be exactly like my daddy." Frazier was christened at Pontotoc, Mississippi, by Brother Lewis on October 11, 1921. His first tooth appeared at 4½ months. He began to creep at 6 months, stood at 7 months, and walked at 13 months. His favorite toys were "Jim-dandy and Bob." His first word was "Dad-dee." 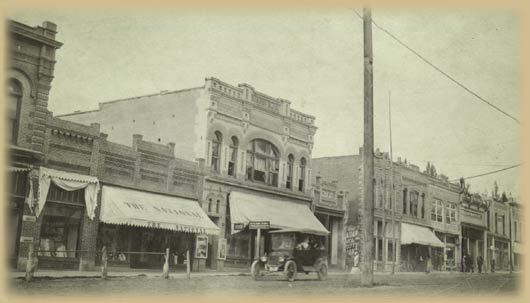 Frazier's first trip out of town was a visit to his mother's home in Nettleton on Tuesday, July 9, 1921. They traveled on the "motor" with Mr. Griffin as the conductor, and Frazier slept all the way. Frazier was an only child for 14 months until the first of his three brothers, Esta Stanley, was born. He was 2½ when Marion Hansell was born and 9 when Richard Theron was born. The family lived at 401 Canal Street, Aberdeen, Mississippi. Frazier's father was a dentist, having graduated from Atlanta Southern Dental College in 1917. His mother was a homemaker and former teacher, having graduated from Mississippi Normal College, Hattiesburg, Mississippi, in 1918. Frazier enjoyed an active childhood, participating in a wide variety of school, work, social, and recreational activities. In 1923, his mother and father enrolled him in the local chapter of the Children of the Confederacy based on the service of his great granduncle, William Berry Hansell, who served with Company E, 9th Mississippi Infantry. In August 1938, he participated in the Annual Reunion, United Confederate Veterans, Mississippi Division and the Sons of Confederate Veterans in Amory and Aberdeen. With E.S. and Hansell, he delivered the Memphis Commercial Appeal newspaper to customers in Aberdeen. He was also a member of the Aberdeen Junior Chamber of Commerce and a leader in his church youth group. On Sunday February 26, 1939, he was Master of Ceremonies in a Young People's Service, held instead of the regular church service, so that the youth could present their Youth Crusade. He wore a new suit and shoes he had purchased the previous Friday at Webb's in Amory. Frazier joined Troop 33, Boy Scouts of America, in December 1934. He earned 27 merit badges on his way to becoming an Eagle Scout on March 20, 1939. In June 1938, Frazier and Hansell and other Scouts helped Dr. W. A. Evans complete a register of the Odd Fellows Rest cemetery in Aberdeen (see The Journal of Mississippi History, July 1939). In 1939, this same group helped Dr. Evans mark the route of the old Gaines Trace through Monroe and Clay counties (see The Journal of Mississippi History, April 1939). [The public library in Aberdeen is named after Dr. Evans, whom Frazier admired very much.] In 1940, Frazier was on the staff of the Pushmataha Area Boy Scout Camp and was inducted into the Order of the Arrow. Frazier was a good student, graduating as salutatorian of his high school class (94.75 average; the valedictorian had a 94.8 average). He played coronet in the band with his brothers E.S. on trombone and Hansell on piccolo. He was editor of the school newspaper, treasurer of the senior class, and played Lorin Gilbert in the senior play ("Marrying Margaret" by Charles George). He was voted Mr. Aberdeen High School and most intellectual boy. Frazier graduated from high school at age 17 on May 29, 1939. Less than a month later, his father died on June 22. If I am going to make an inventory, first I must know what an inventory is. According to Mr. Webster an inventory is "a catalog or list of goods or furniture." I have accumulated quite a collection of letters, test papers, themes, and souvenirs, a list of which would probably cover a dozen pages. An inventory of material things such as those, however, is not what I want to make. I want to search out that which has added to my broader views of life and helped in general to improve me. Just a few days after I came to Ole Miss and after I had all my classes and schedules straightened out, I started working for Dr. Silver as a N.Y.A. helper. I soon saw that I was getting very little benefit from being general flunky for him; so as soon as I got an offer to work in the News Bureau I immediately took it. I have been working hard there both to improve my skills so that I will be better able to sometimes take a better position and to make enough money with which to pay expenses to go to school. I think that working in the News Bureau has given me not only a better insight into the complications of our University but also social and business connections with people whom I enjoy and who can help me. Being a member of the Ole Miss Band has added much to my broader knowledge and enjoyment of life. It has helped develop further my appreciation of good music and increased my knowledge of playing. The trips that I have made with the band have added much to my store of knowledge and have taken me to places that I would have probably not seen for a long time. In connection with my music the Lyceum Artists Series also helped as well as did the Band Clinic that was held here. The Artists Series has also given a delightful comedy to add to the more serious matters that confront me. From the Reserve Officers Training Corps I have gained much in both pleasure and understanding. I have a better understanding of our national defense problems and of life in the United States Army. Under the head of pleasure comes the enjoyment every boy gets from shooting a good gun and being a part of a military organization. It will seem to the reader that all I think of is pleasure and so-called outside activities. The reason is that the immediate effect of most extra-curricula activities is more noticeable than most of regular courses studied at any school. The difficulty of seeing exactly and definitely what I have been getting out of my other studies is to (sic) great for me. I know, however, that there are benefits even just in knowing more; also if they had no benefits they would not be a part of the school. A very vital point in my inventory is "did I get all I could have out of the first semester?" Since I am very much like the average person, I fear that the answer will be that fatal "No." I just haven't put the time on most of my studies that I should have. In high school I got out of the habit of concentrating, and now I am suffering for it. Neither do I budget my time so as to get as much done as possible. Usually because of my habit of not concentrating, I struggle half-heartedly with a subject until late, and make myself unfit for school the next day. In general I have more or less coasted and not done all I should or could have. All that can be said is that I will try harder next semester. Frazier's grades that first semester were History--B, English--B, Military Science--A, Math--A, Geology--A, and German--A. As in high school, Frazier was very active throughout his college career. He was a member of Phi Eta Sigma Freshman Scholarship Fraternity, Freshman Career Conference, Freshman YMCA Cabinet, the University Band, Faculty-Student Registration Days Committee, M Book staff, News Bureau staff, Managing Editor of the Mississippian, NYA scholarship, dormitory monitor, Senior YMCA Cabinet, Religious Emphasis Committee of 100, President of the Wesley Foundation and was inducted into the Omicron Delta Kappa leadership fraternity. He was the outstanding ROTC cadet his freshman year and was appointed cadet captain in command of the band company his senior year. He graduated on May 31, 1943 with a Bachelor of Arts degree. On June 5, 1943, he was awarded a Secondary Permanent Professional License to "teach for life in the Public High Schools of the State" of Mississippi. However, instead of answering the call to teach, Frazier answered the call of his country and enlisted in the United States Army. Unfortunately, his service record, along with those of thousands of other World War II veterans, was destroyed in a fire at the National Personnel Records Center in 1973. Frazier entered active duty in August 1943 at Fort McPherson, Georgia. He attended Officer Candidate Course #320, Infantry Weapons and Minor Tactics, from November 14, 1943 to March 3, 1944 at Fort Benning, Georgia. He then attended "mule handler" training at Camp Pickett, Virginia, with his unit, Company D, 309th Infantry Regiment. He apparently remained at Camp Pickett until late September 1944. The 309th first saw combat on December 13, 1944 as part of a major offensive to capture the Roer River dams near Schmidt, Germany. Their first attack, north and east of Monschau, Germany, quickly resulted in a stalemate on December 15th. They held this position for the next month, during which time the Germans launched their Ardennes Offensive (Battle of the Bulge). The 309th's position lay close to the main supply route for the northern end of the German offensive. The 309th resumed the offensive in late January 1945. On February 1, Frazier wrote his mother declining her offer for underclothes ("not yet anyway"), inquiring about the activities of his brothers, and describing each member of his squad. On February 9th, the 309th was moved into the recently abandoned German positions at the edge of the great Schwammenauel dam. This position was subjected to intense artillery and mortar fire. On February 10th, Frazier was hit in the shoulder by a piece of shrapnel. He was treated by a medic but died on the way to an aid station. At 1:45 p.m. on February 11, 1945 Staff Sergeant William Frazier Furr was buried in grave #35, row 2, plot K, American Military Cemetery, Margraten, Holland. On February 24, 1945, his mother was notified of his death by Western Union telegram with a letter arriving from the unit chaplain soon thereafter. In a thank you note Frazier's mother sent to those who helped console her, she included the following excerpt from Frazier's letter to her of January 3, 1945. 1544 William told this story about his memories of the American Civil war. He was standing on the porch of his school at age twelve when he saw Union soldiers march into town. He said his family hid their food in the woods, and dug holes in the ground to hide the meat and other food. Yankee soldiers would take every bite of food they had. He said they took all the stock used to plow the fields except one old re mare. His aunt May (McCollough) Roy, was at the barn preparing to plow the garden with the old mare when a soldier reached for the bridle. She hit the soldier on the head with the bridle and knocked him out. After he married Nancy, they lived in a log house in the Bethel Community Southwest of Iuka. In this house were born thirteen children, twelve of whom lived to marry and have families of their own. He made his living farming and operating a water grist mill to grind corn into meal and grits. These were staple food items during this time. He also ground corn for other people on shares, and sold the extra to help support his big family. There was a big pond of water behind the mill which was used by churches to baptize their new converts. Among those baptized were Autrey and Viola Callicott, two of their grandchildren. The story is told about the time William Thomas was saved while attending one of the country churches. He was so happy he began to climb the center supporting pilar in the church, with the remark, "I'm so happy I think I'll climb right up to heaven." Nancy Elizabeth took matters into her own hands, jerked on his coattails, saying, "Come back here, William, and leave me the keys to the mill if you are leaving." The mill not only supported them with corn grinding but also was a front for selling whiskey which was hidden in the mill. Many people of this era sold moonshine (illegal) whiskey to supplement their income. In later years he moved the mill nearer to the log house and put a gasoline engine in it to grind corn. He also grew his own tobacco, cured and sweetened it with honey and hung it to dry in the smokehouse, where they cured their meat. 1545 William was a supervisor of East Fork Township, Montgomery Co., Illinois. 1549 «b»Obit from Greeneville Sun, Greeneville, TN 5/2/06:«/b» JONESBOROUGH - Edith Louise Wilhoit Broyles, 82, of Sugar Hollow Road in Jonesborough, died Tuesday at Johnson City Medical Center. Mrs. Broyles was a native of Greene County and a daughter of the late Carl and Glenna McCray Wilhoit. She was a member of Philadelphia Cumberland Presbyterian Church. Mrs. Broyles graduated from Doak High School and attended Greeneville Business College. She was a former employee of ETWNC trucking. Survivors include her husband: Clifford D. Broyles; a son and daughter-in-law: Michael and Dawn Broyles of Jonesborough; two granddaughters: Diane Broyles and Ashley Broyles, both of Jonesborough; two brothers: Sherril Wilhoit of Chuckey and Hal Dean Wilhoit of Greeneville; two sisters: Charlotte Reed of Greeneville and Barbara Myers of Knoxville; three sisters-in-law: Clara Norton of Bluefield, W.Va., Claudine Jackson of Edgewater, Fla., and Christine St. John of Limestone; a special cousin and his wife: K.E. and Catherine Wilhoit of Johnson City; and several nieces and nephews. Mrs. Broyles was preceded in death by a son, Timothy Lee Broyles. The family will receive friends from 6-8 p.m. Thursday at Dillow-Taylor Funeral Home in Jonesborough. The funeral service will be held at 2:30 Friday afternoon at Philadelphia CP Church. The Rev. Rex Brown will officiate. Interment will follow in Philadelphia Cemetery.